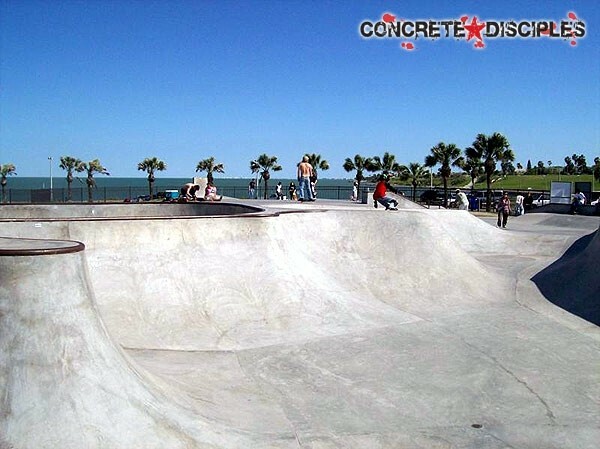 Cole Skatepark - Corpus Christi, Texas, U.S.A. The park is located at Cole Park on Ocean Dr. right on the bay. This park was designed and built by Grindline. It consists of a street area and a flow bowl. The flow bowl features hips, a gnarly spine, a 9ft. deep end and an over vert pocket with pool coping. Plus there is a mini bowl with a vert extension. The street features include a gap, a hip and a handrail. This park is worth the stop, but try to hit it early to avoid the crowds. Cole Park is a very poorly designed and constructed skate park. With it's high traffic area of onlookers and patrons, it causes extreme congestion due to its limited space, as well as its poorly designed transitions and overall layout. 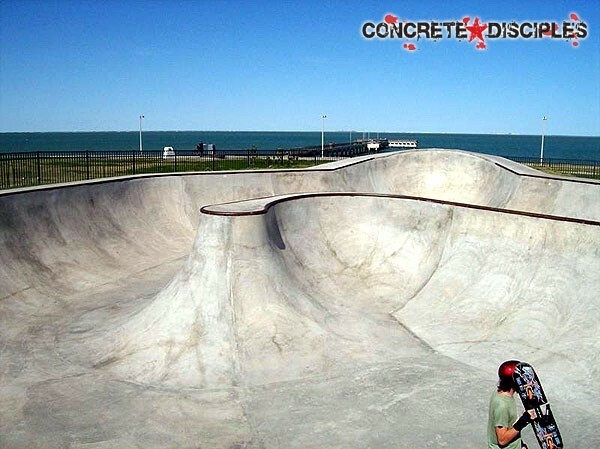 The massive 5 and 2 stair setup is poorly constructed and has the potential to cause an extreme safety hazard due to the fact it is in direct path of onlookers and other skaters, making it very difficult for others trying to utilize its potential. 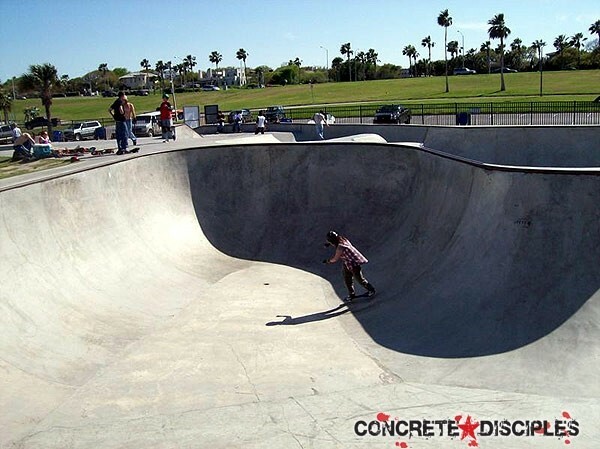 If the skate park was expanded to include more space, variety, and better design and layout, I believe it has the potential to be a very safe and enjoyable place to skate.